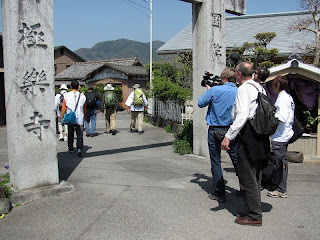 The PBS crew films our group approaching Temple 2 (Gokurakuji) on our hike today from Temple 1 (Ryozenji) to Temple 5 (Jizoji). 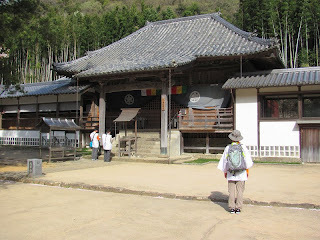 Several of us purchased hakui (long sleeved jackets) or oizuru (sleeveless) at Temple 1. 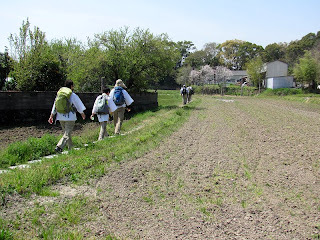 In addition to marking us as pilgrims, the white fabric reflected the bright sunlight so it helped keep us cooler. 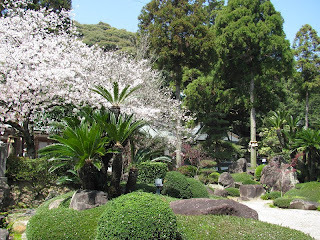 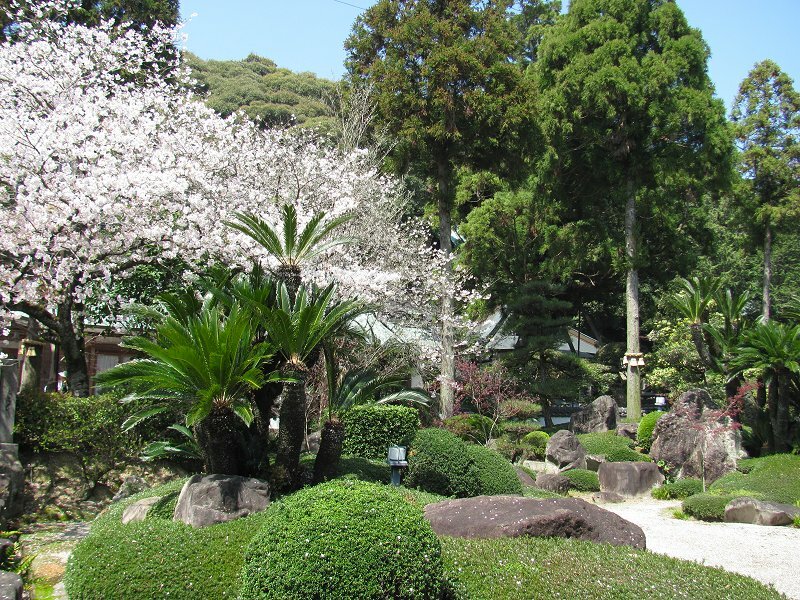 The lovely gardens at Gokurakuji. Stopped for lunch in Itano town. 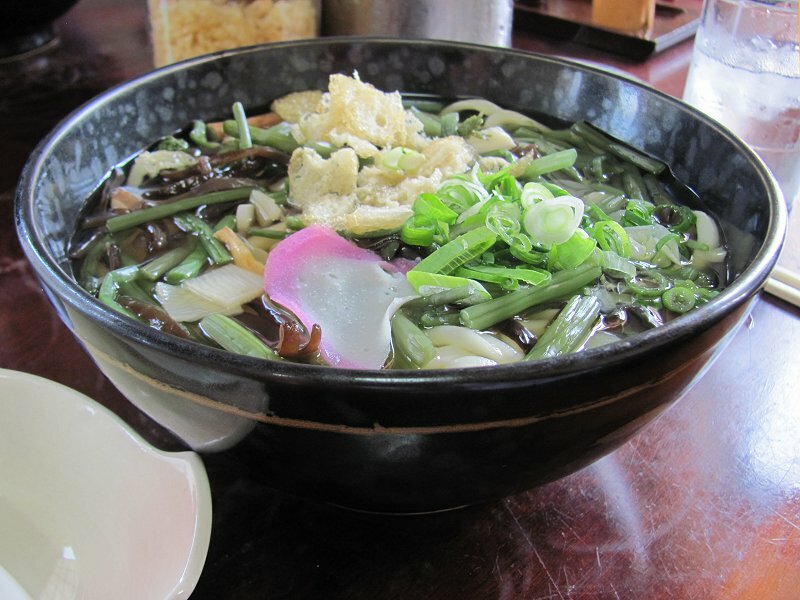 Here a bowl of Sanuki udon with sansai (mountain vegetables). Sanuki udon is a specialty of the neighboring prefecture of Kagawa whose old name was Sanuki. 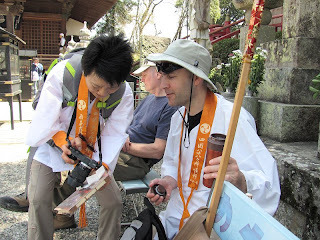 Ingrid shares a photo with David Moreton at Temple 3 (Konsenji). 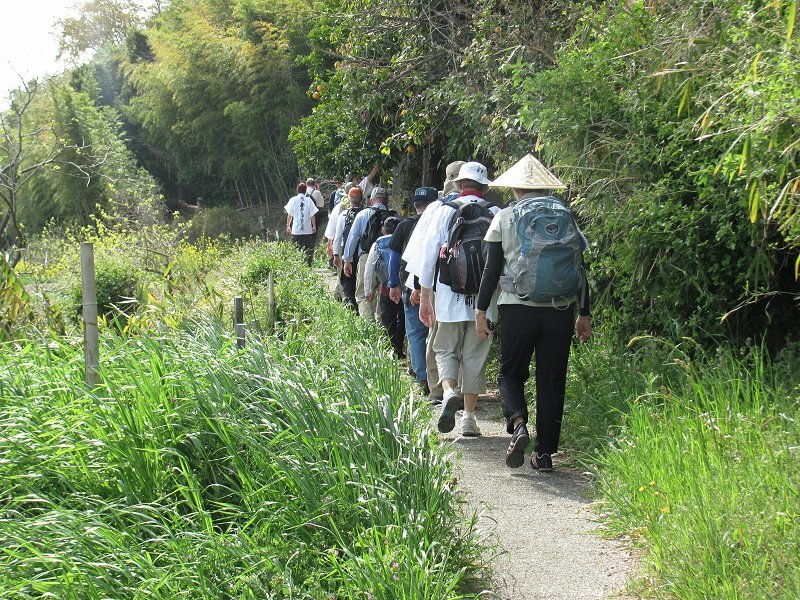 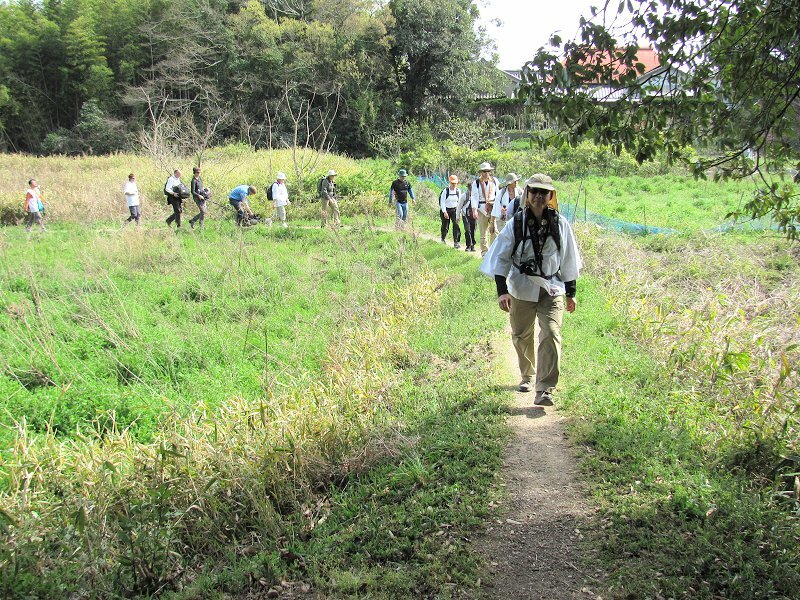 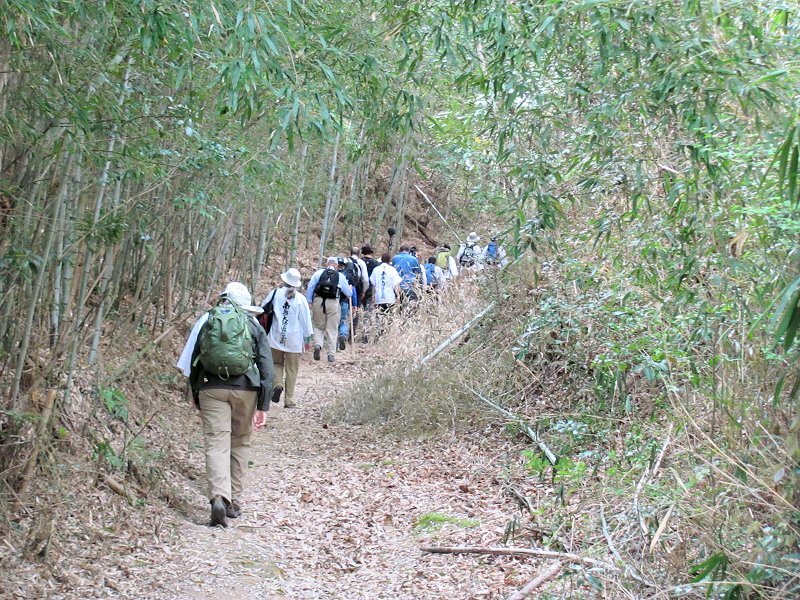 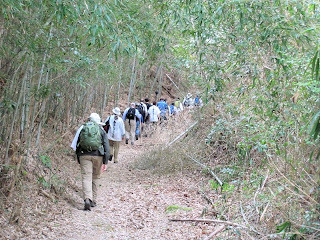 Hiking on the pilgrim path between Temple 3 (Konsenji) and Temple 4 (Dainichiji). A good portion of the path from Temple 3 to Temple 4 passes through rural landscapes and away from the paved lanes and roads. 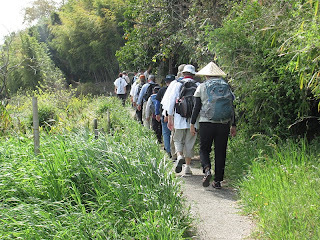 A portion of the trail between Konsenji and Dainichiji passes through a lovely bamboo thicket. 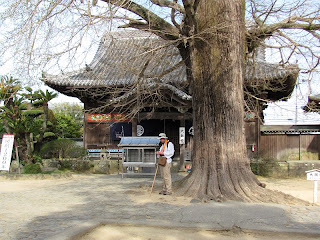 Part of our group in front of the Daishi Hall at Temple 4 (Dainichiji). 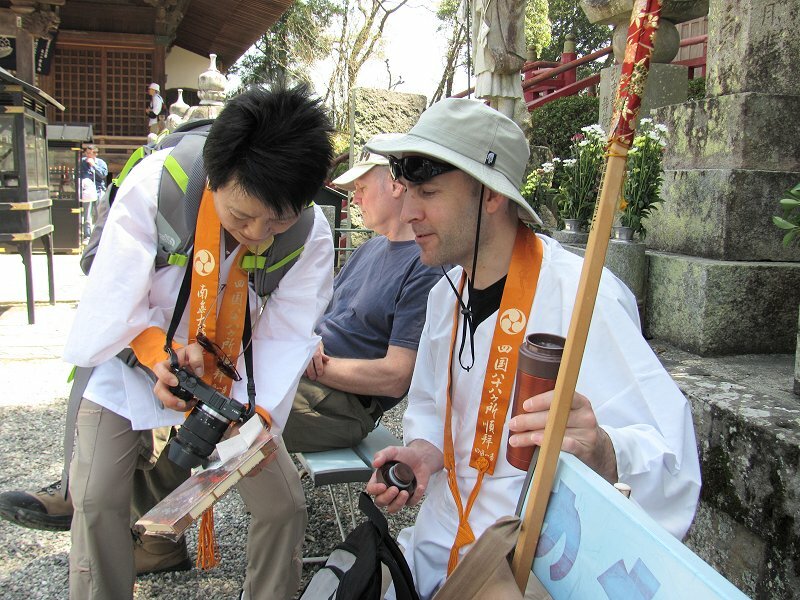 Tom and Marianne are chanting the Heart Sutra at left. 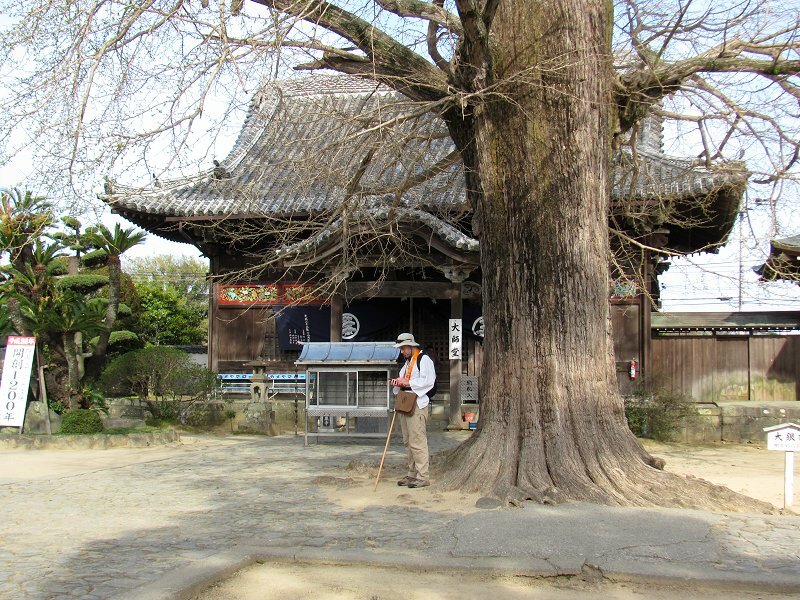 A gingko tree estimated to be about 800 years old stands in front of the Daishi Hall at Temple 5 (Jizoji). 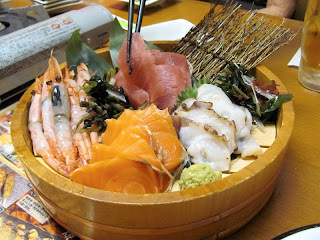 One of several courses for dinner tonight in Tokushima.